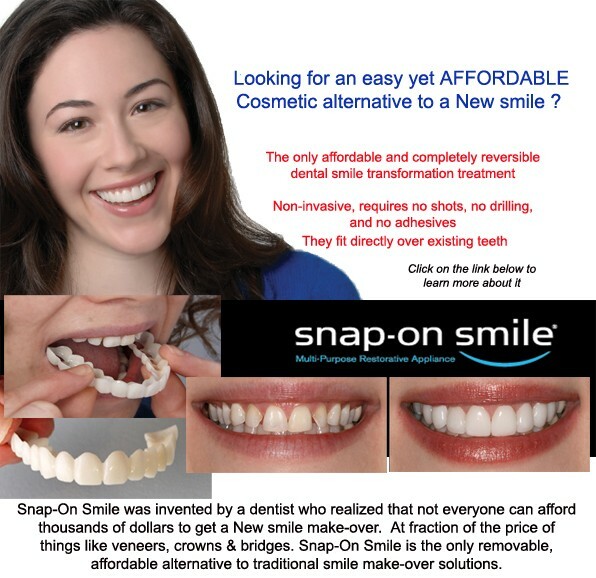 The Snap On Smile is a removable dental appliance which attaches over your own teeth. It actually covers your existing teeth. There is no grinding or preparation of you natural teeth. You simply put it on and take it off as you wish. The product is lightweight and is technically called a Duracetal – non-toxic polymer which is non-allergic. It is only 0.5mm thick making it comfortable to wear. Once you get accustomed to it you will hardly know it’s there. You are able to eat while wearing it and take it out at night, as this helps it’s longevity. 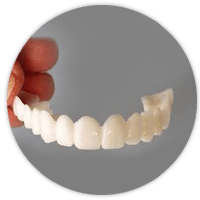 To correct your entire smile will cost the same as a partial denture which for some only replaces a few of missing teeth. The unit can break and should be handled with care. It is best not to sleep with it in. You should utilize special cleaning and anti-microbial solutions – commercial toothpastes and denture cleaners are extremely abrasive and will cause harm. A simple 15 minute soak in the special cleaner and light scrub with your toothbrush is all you need. 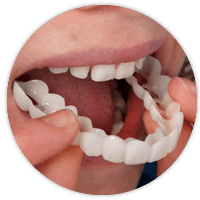 With good care the Snap On Smile should serve you well for 3-5 years depending on care, eating/ drinking/smoking habits and grinding of teeth (bruxism). 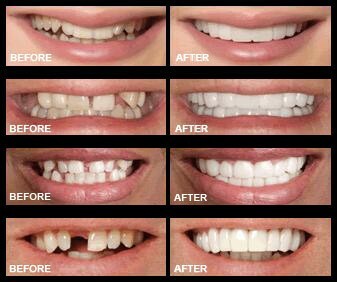 The Snap On Smile does not fix all dental problems or permanently redesign your smile like that of crowns, veneers and bridges. It is however a unique, temporary cosmetic fix for particular situations that instantly enhances the current look of your teeth. The Snap On Smile is ideal for weddings, family/school reunions, job interviews or other special events in which you want to be certain to look your best.